Find us at Festivals, or hire us for your own events. 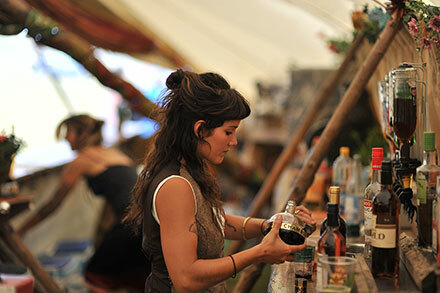 The Bimble Inn® is complete solar powered mobile venue housed in a unique giant tipi structure. 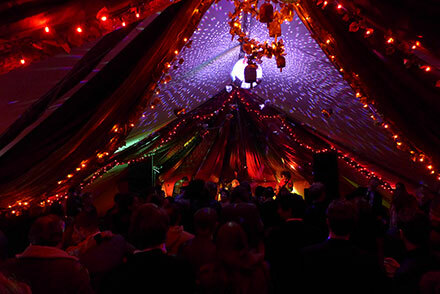 It is fully equipped with a live stage and a 10k Nexo Alpha PA system. 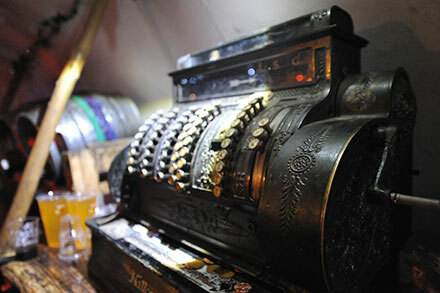 We provide a comprehensively stocked bar including local ales, frozen cocktail machine, and also make our own bimble cider. 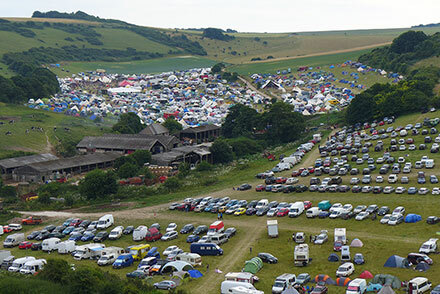 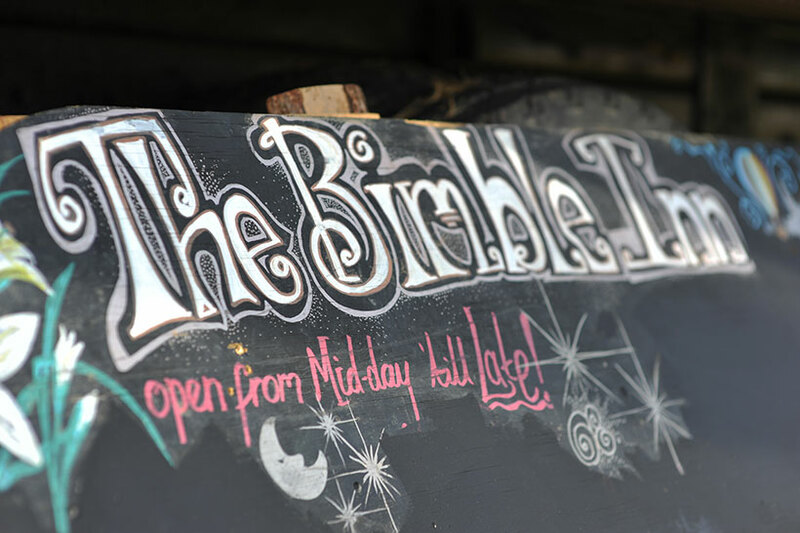 The Bimble Inn can be built to accommodate anything from 250 to 750 people depending on your needs. We aim to be as environmentally friendly as possible within all of The Bimble Inn's operations. Our sister company Bimble Solar provides affordable off grid solar equipment globally. 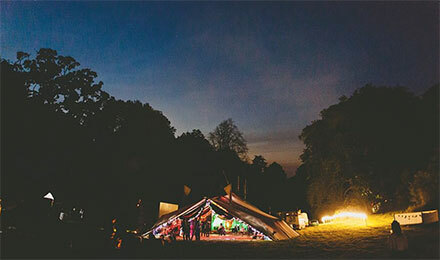 If you would like to discuss booking us for your festival please contact us. 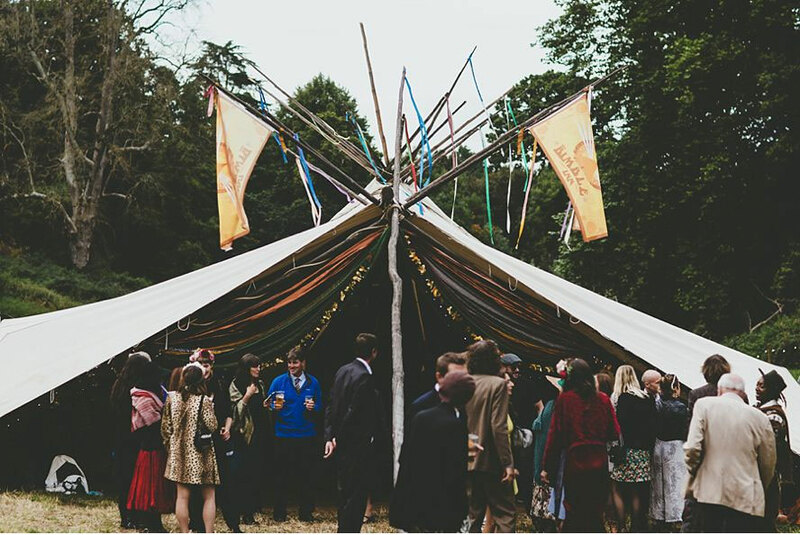 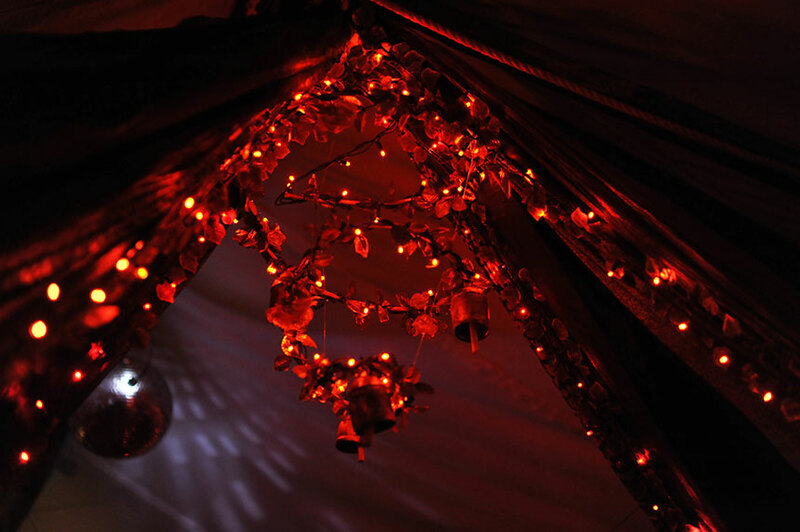 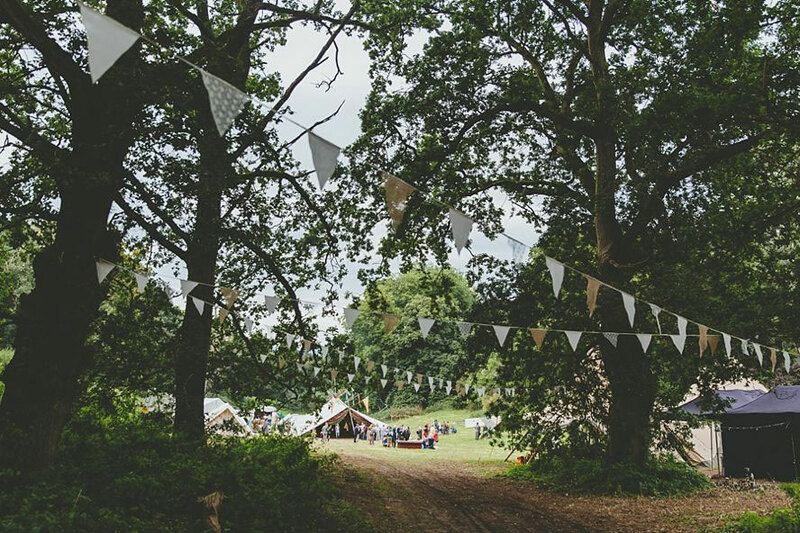 We are available to hire for weddings, private parties and festivals. 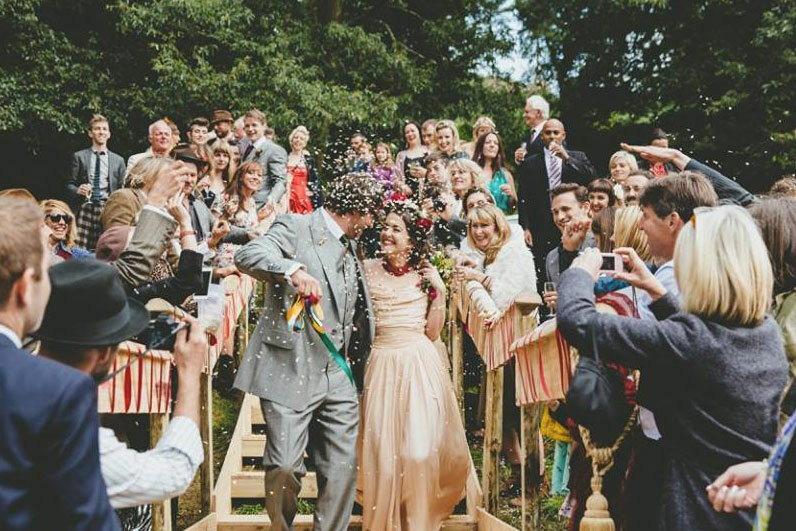 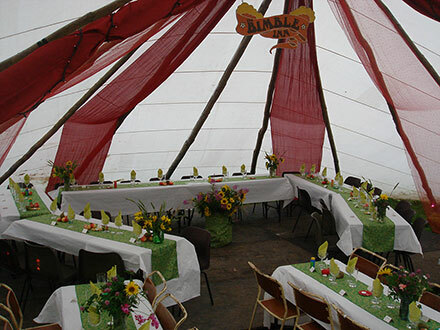 The Bimble Inn is the perfect venue to make your special event unique and extremely memorable for everyone. We provide everything to turn your event into a vibrant party. 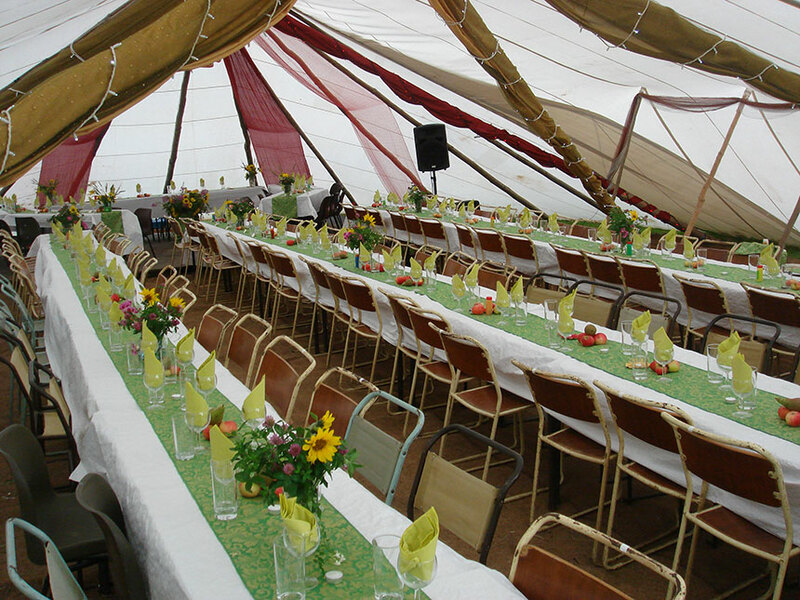 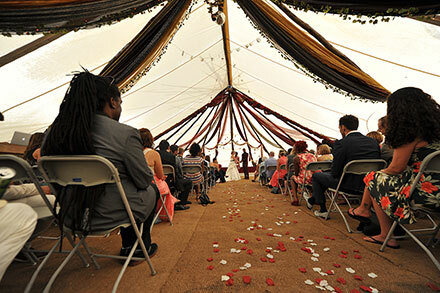 The Inn is available in two sizes 60ft x 40ft and 90ft x 40ft depending on which is most appropriate for your event. 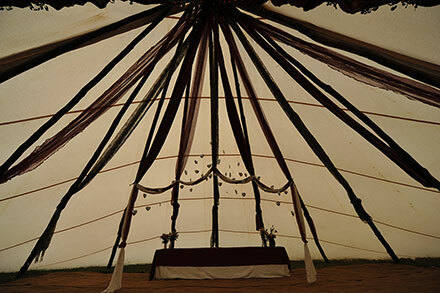 We will licence your event at the location of your choice. 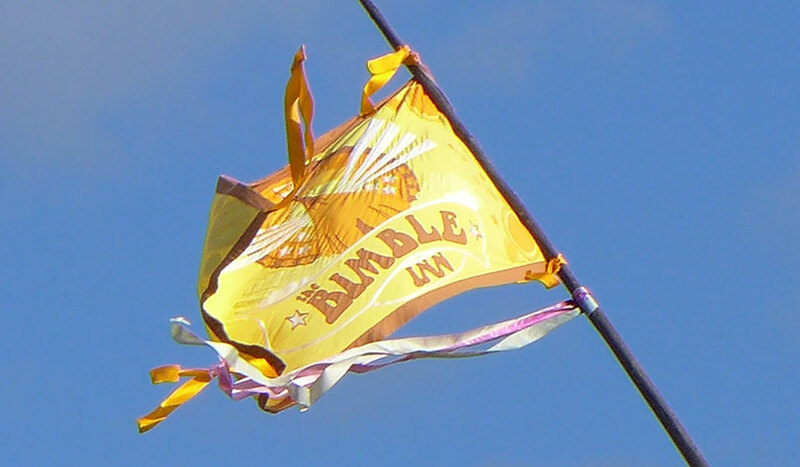 We also offer a complete bimble party package including all the entertainments, with a variety of live bands and DJs to suit your taste, plus a bar tab for your guests. Just leave all the organisation to us and we will run the show for you. 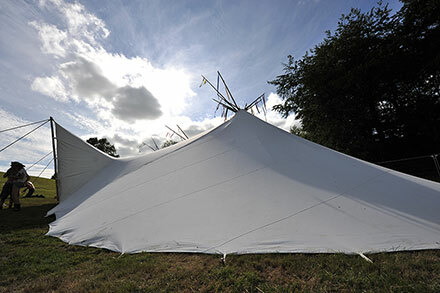 If you would like to discuss booking us for your event please contact us. 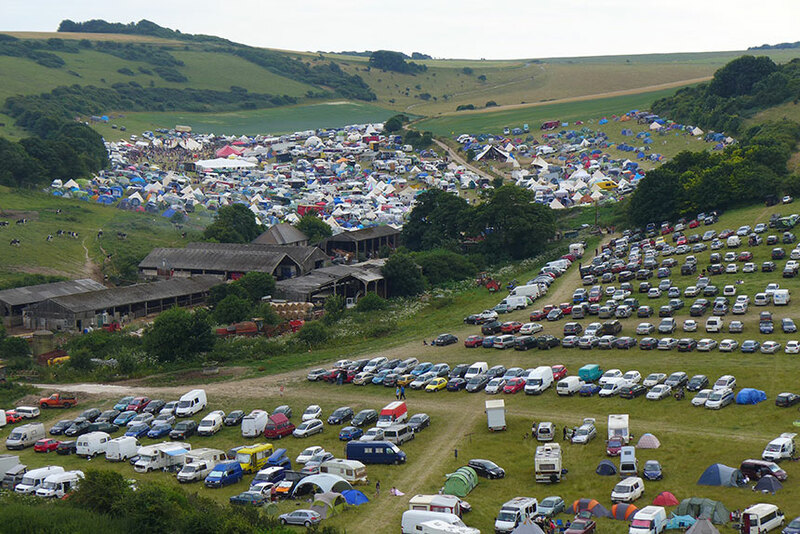 Bookings will automatically send you a PDF link with prices and info.